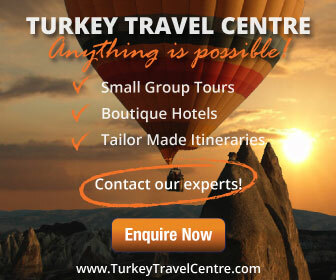 Cappadocia is a fascinating journey through times gone by – but ultimately the major attraction to this Central Anatolia moonscape are the underground cities. Beneath the land of the living, are masses of sprawling tunnels and small cave rooms that are strangely quiet but their history is as the saving grace for civilizations that hid in fear of their lives. About 35 underground cities stretch across the vast landscapes of Cappadocia, but new ones are being discovered all the time. Built with the intention of being hiding places for early citizens who could at any new day, find their way of life under threat from invading forces, they have also been the subject of conspiracy theories as certain parties debate whether they were built by aliens. They are wrapped around vast defences and a massive network of traps, mainly to prevent the advance of the Roman Empire. You’ll be amazed at the technical brilliance of the tribes that once inhabited these vast canyons. Cappadocia was the confluence of influence. The Hattis, the Hittites, Phrygians, Persians, Romans, Byzantines, Seljuks and Ottomans have all put their own stamp on this area as it was the gateway to such important trade routes, like the illustrious Silk Road. In doing so, it became a much sought after area, culturally and politically, and hence the need for the many hideouts and cities for civilizations to exist. 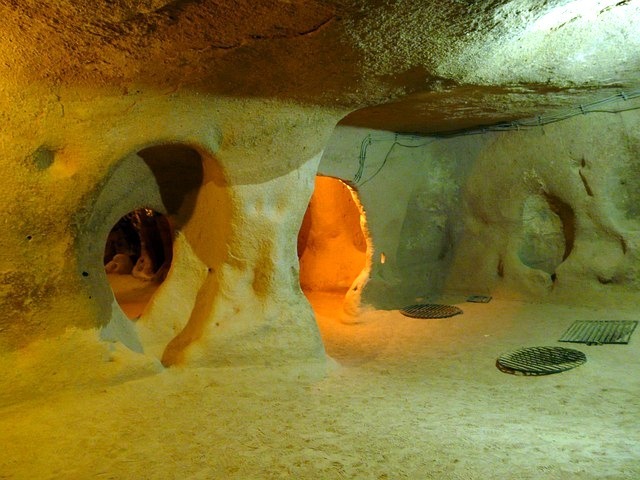 Kaymakli Underground City, previously called Enegup is just 19 kilometres from the centre of Nevsehir and since opening to tourists in 1964 has received hundreds of visitors every week. Estimated to have housed more than 3000 people, it was mainly used during Byzantine times for protection from invading Arabs, and some historians’ suspect Kaymakli was connected to the bigger underground city of Derinkuyu through a network of tunnels. Even after an era of peace came to the region, locals still lived in the underground city until 1923, when the treaty population agreement between Turkey and Greece was signed. Kaymakli consists of eight floors below ground, of which four are open to the public. 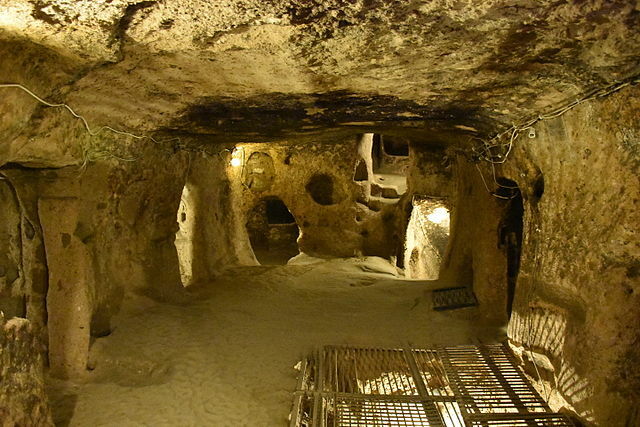 The first floor of the underground city was used as a stable; the second floor contained a church, graves, and living quarters while the kitchens, wine making, oil presses, and storage areas were on the third floor. 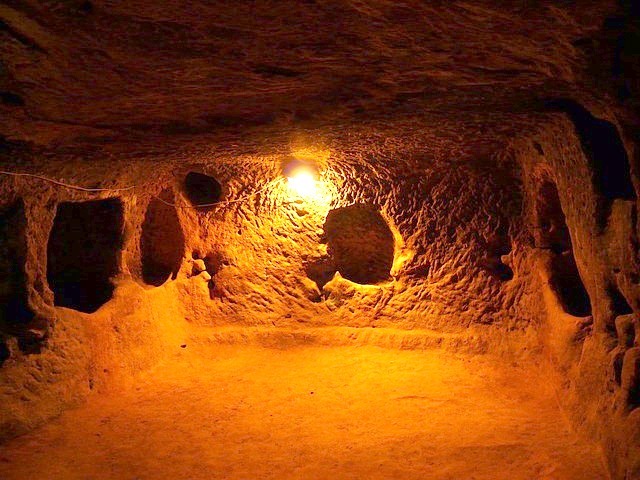 Other underground cities such as Derinkuyu suggest a thriving and economically stable population in early times, while the Tatlarin Underground City has a ventilation system reaching to a depth of 80m. These chimneys were opened to meet the need of both the ventilation and water. The cities have locking stones which can be opened and closed only from inside against threats. Toilets were being used in Anatolia around 3000 years ago, while there many food storage areas and churches within. All you can do is marvel at how our past ancestors were able to create a self-sufficient environment underground. The oldest written source about underground cities is the Anabasis named book of Xenophon (Written around B.C. 4) in which it is mentioned that the people living in Anatolia carved their houses underground. 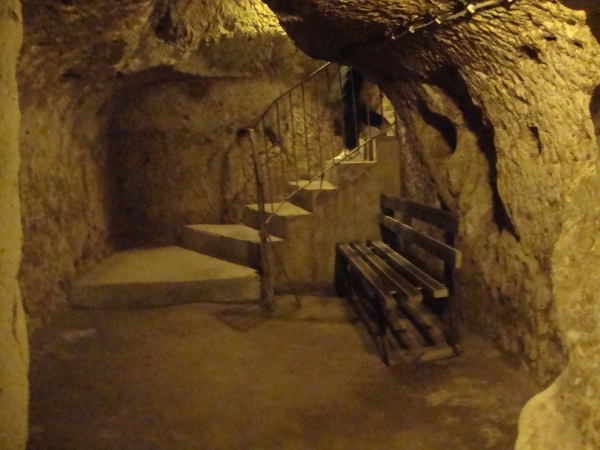 These days, there is no much call for underground cities but naturally man has adapted. In places like Orthisar, due to the coolness of the cities, they are now used as storage area for fruits. Alterntively, they have become major tourist attractions. 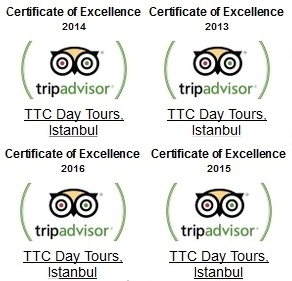 You can explore two of the best underground cities of Cappadocia ; Derinkuyu and Kaymakli on our Cappadocia tours of which there are more details here.